The place is Tokyo. The year is 2050. The topic is light. One hundred and nineteen professionals from various fields, architects, designers, photographers, critics, were brought together to discuss and predict the future of light in Tokyo. Will the future grow darker? Or will it become brighter? 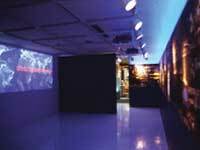 The psychological state of the people and society were also critical factors in these predictions, which have taken the form of words, models, and video, now on display in Ginza. World Lighting Journey’ a collection of nightscapes from 50 cities around the world, taken over the course of 12 years, was exhibited in Ginza. During the exhibition period 7 members of the LPA staff were on hand to give seminars to visitors enjoying the wall-to-wall collection of photographs. What kind of changes can we expect to see in the Tokyo nightscape of 2050? Through the discussion of experts from various fields and the prophecies of a 100 prophets, we were able to piece together clues to the nightscape of this bustling city a half a century away. 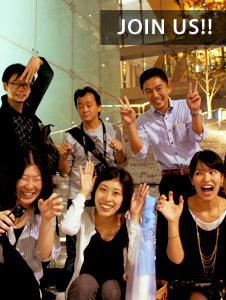 Seven years of accumulated Lighting Detective’s research and activities were exhibited in a viewer-friendly show, ‘Shomei Tanteidan Exhibit?The Lighting Detectives Make an Appearance in Ginza’. 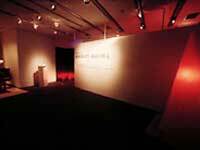 Six exhibition corners were set-up in the TEPCO Ginza Building, 2F Electric Scene Room. 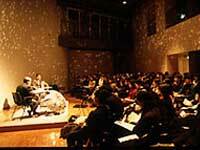 In an effort to generate interest in their work and research from the general public, the Lighting Detectives started the practical lecture series at Tokyo Design Center in November of 1995. 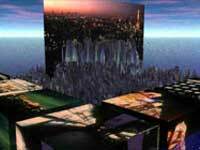 This monthly lecture was not created as a forum for experts or technical theorizing, but as place to exchange ideas about the way lights and lighting exist around us. It was a place to discuss lights and lighting within the confines of culture and urbanism. All 13 lectures were well received, with the last in the series held in December 1996. Below is an outline of all 13 lectures.